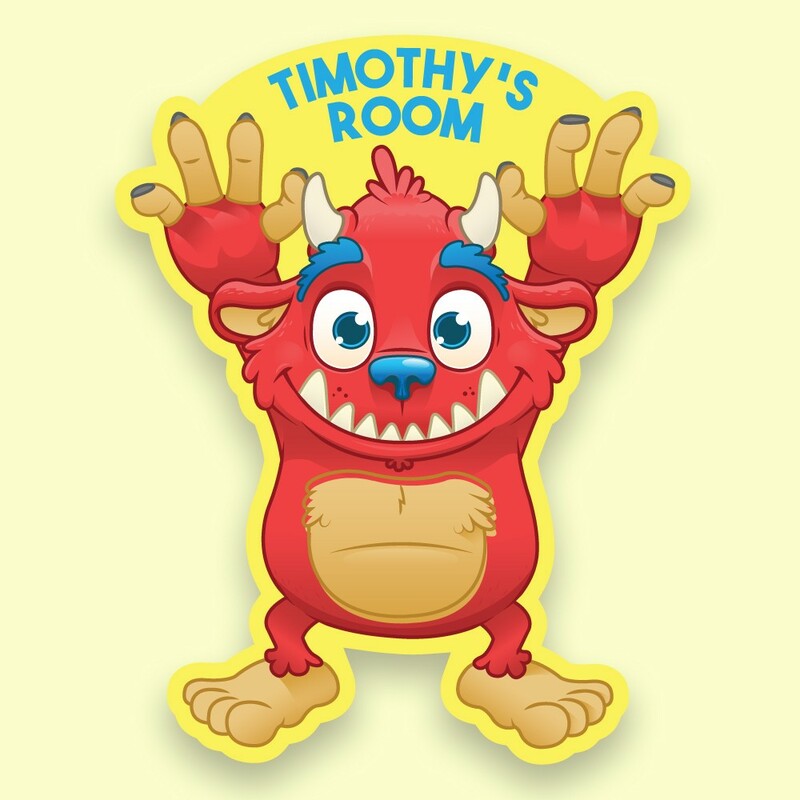 Your little one can scare away unwanted visitors with their very own brightly coloured personalised monster bedroom doorplaque. Made to order with any name up to 12 characters and individually laser cut to its unique shape. The 3mm opal perspex brings out the colours of the UV printed inks whilst remaining light enough to easily mount on the door with the sticky pads provided.